← Columbia Screening Pass-palooza: “Breakthrough”! I love Big, Freaky Friday (ALL OF THEM) and 13 Going on 30. So when I saw the trailer for Little, I got stoked. You too? Well, I’ve got passes y’all! Synopsis! So glad to see Black-ish‘s Martin on the big screen. Ready? Let’s go! 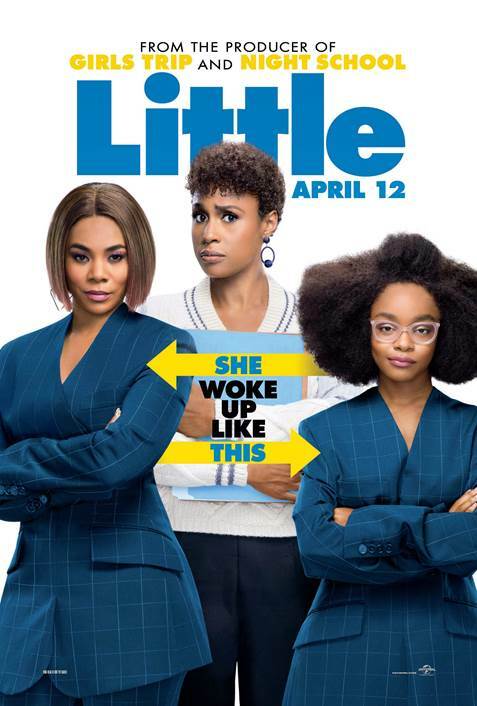 What: BRING-A-GUEST WINNERS LIST for the B’more screening of Little! How: List time! Send me an email at editor@atomicfangirl.com with the subject line “I’M NOT LITTLE I’M FUN SIZED”. Be sure to put your real name in the body of the email – can’t be on the list if I don’t have a name to put on that thing! YOU HAVE UNTIL FRIDAY, APRIL 5TH TO ENTER. ONLY WINNERS OF THIS CONTEST WILL BE NOTIFIED. 7 Responses to Baltimore Screening Pass-palooza: “Little”! I would love to see tiis! I’m excited to see this movie! Please, would love to see.